Coaching is an Individual Development Program. Team Leaders, Managers and Top Leaders face challenges in Managing Team, Situation and Performance. Coaching enables Team Leaders and Managers to Manage their Challenges and become Successful Leaders in the Corporate World. 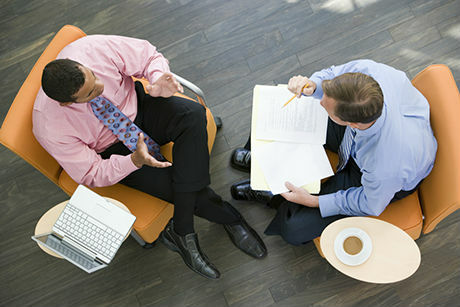 Coaches will enable the Executives to discover the Strengths and Weakness in a Professional Way. At the end of the executive coaching program, they gain clarity to establish clear goals and take steps to achieve it effectively. It improves their self confidence, self motivation and team managing capability. Since it is a One to One Program, Self Realization and Possibility of Change is very high. Please contact us for Coaching Your Managers or Leaders. Internationally Certified and Experienced Corporate coaches will do the Coaching. Highly structured and systematic coaching system is applied for Coaching Success. Each session will be designed based on your coaching need. At the end of the Coaching, Managers, Leaders will discover their Leadership, Managerial Styles, Strengths and Weakness. "Compete like you cannot fail."